Six clubs participated in that initial, incomplete season. Lack of attendance, investigations by the U.S. Treasury Department into the importation of British players, and the threat of a new baseball league caused a number of the owners to end the league. But what if it had continued? In an alternate 1895, League President Arthur Irwin negotiated a settlement with the Treasury Department, allowing the imported British players to continue to play. After examining the gate receipts, Irwin discovered that midweek games drew the worst attendance. Weekend games were the ones that the middle class audience flocked to. Bringing this information to the owners brought about a change of heart. The remaining teams of the National League were convinced to field association football teams as well, all except Cleveland. Irwin came up with a new name for the league as well. The new league would operate under the name of the All American Association Football League. The 1895 season was scheduled to begin Saturday, October 5. All 11 teams would play home-and-away against each team. At the end of the fall section, the Privateers stood atop the table with 14 points. Baltimore and Philadelphia were only a point behind, although the Libbies had the best goal difference of the three teams. Pittsburgh faded in the spring season, falling all the way to 7th place. The Privateers only garnered 6 points in the spring from 3 wins. Philadelphia faded as well, falling as low as 8th before jumping up to 5th by season's end. Washington was mired near the bottom of the table all season. 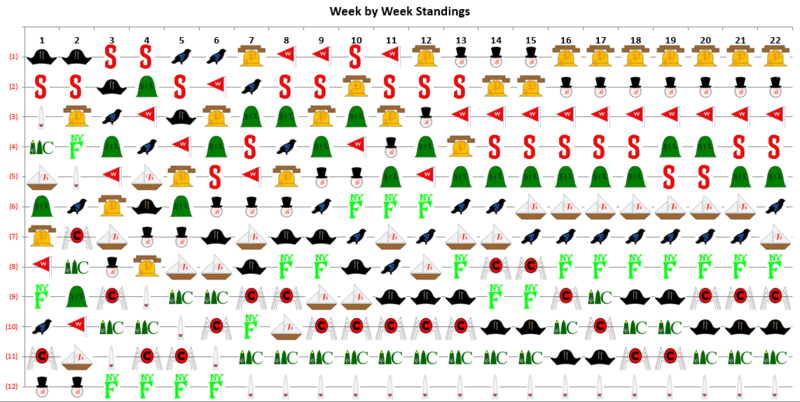 From Week 5 onwards, they jockeyed with Cincinnati for the bottom. At the conclusion of the season, the Scarlets kept out of the basement by a better goal difference (as if -12 could be considered good) than the Insiders. Being in the 5th spot after the fall section, the Shipwrights steadily marched upward in the table, pulling even on points with Baltimore in Week 20, although 3 behind in goal difference. Boston was desperate for a win in week 21. 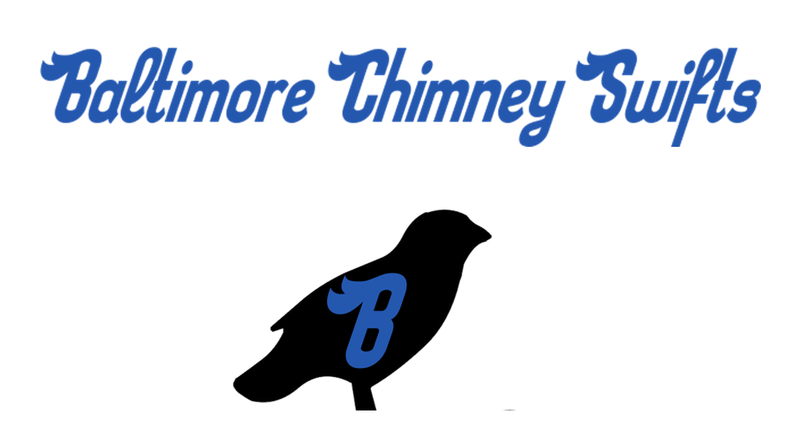 They were even with Baltimore on points, but the Chimney Swifts had a game in hand. 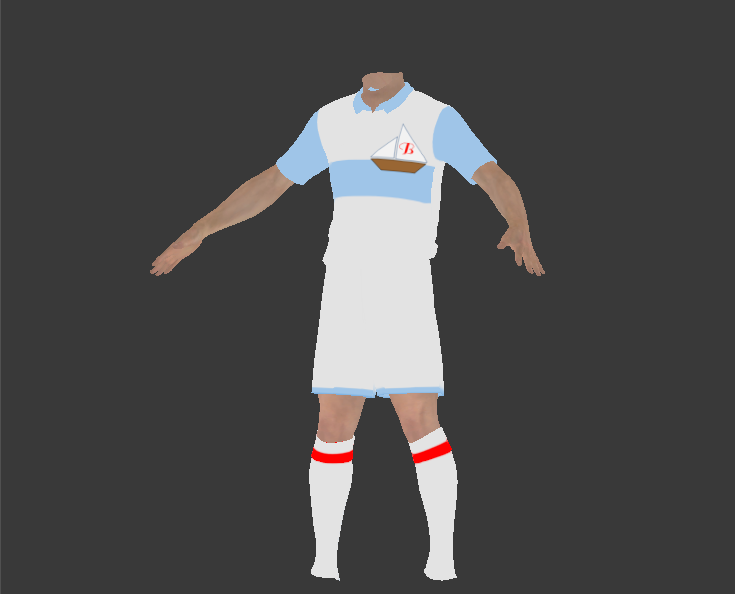 Sadly, the Shipwrights could only manage a draw against Chicago at the West Side Park. 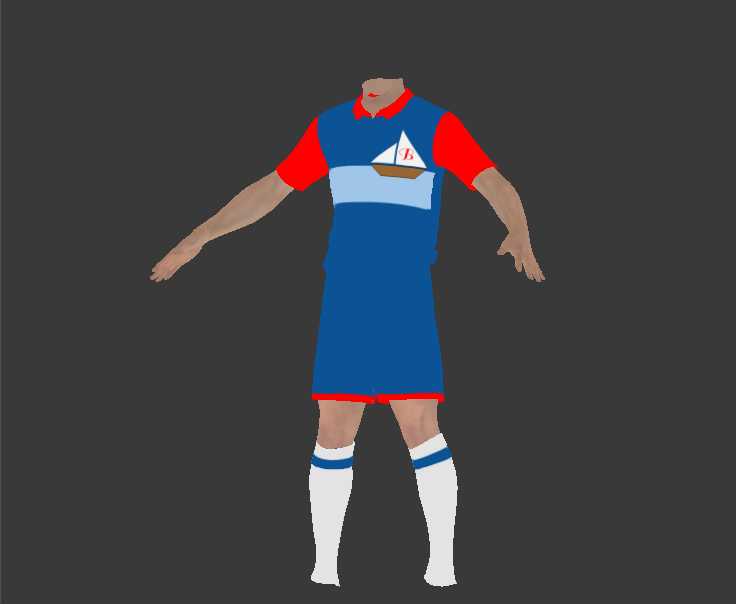 The Shipwrights could only watch during the final game day as they had already played out their season to 26 points. Baltimore spent the second half of the season always in the top two spots. The Chimney Swifts went into the final weekend against the Fomorians needing only a point to claim the title. 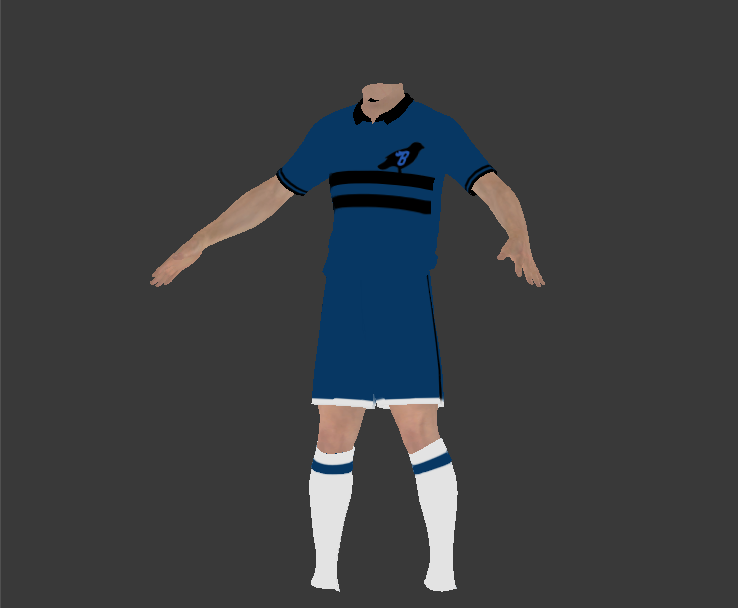 However, the Chimney Swifts never played for tie; they only had one draw all season. They came out hard against New York and took an early 1-0. Not content with only one goal, Baltimore continued to push forward and left themselves open to counterattacks. New York punished the Chimney Swifts for three goals and claimed the victory. Chicago had the opportunity to play spoiler again as they traveled to the Eastern Park to face the Bridegrooms. Shortly before game time, a telegram delivered news of Baltimore's defeat. That meant that Brooklyn and Baltimore were tied on goal difference. A Bridegroom win would net them the title. Inspired by this opportunity, Brooklyn came out flying with 2 goals from Bannister, and tallies from Harrington, Tobin, and Farrell. 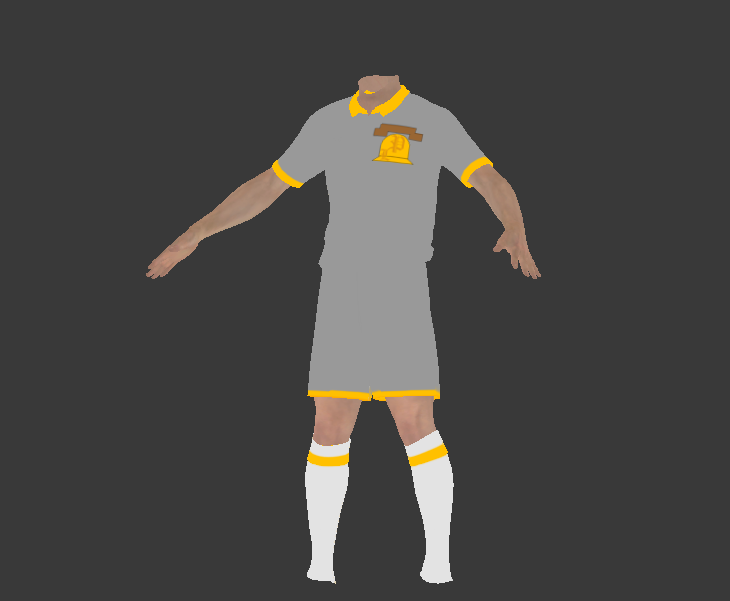 Golden Shoe winner Brad Forton didn't score that day, but assisted on all of the goals in the 5:1 triumph. Other Notes on the 1895 season. Brooklyn was on the good side of the season's most embarrassing win, pasting the Lt. Colonels in Week 15 5:0 at Louisville's Eclipse Park. 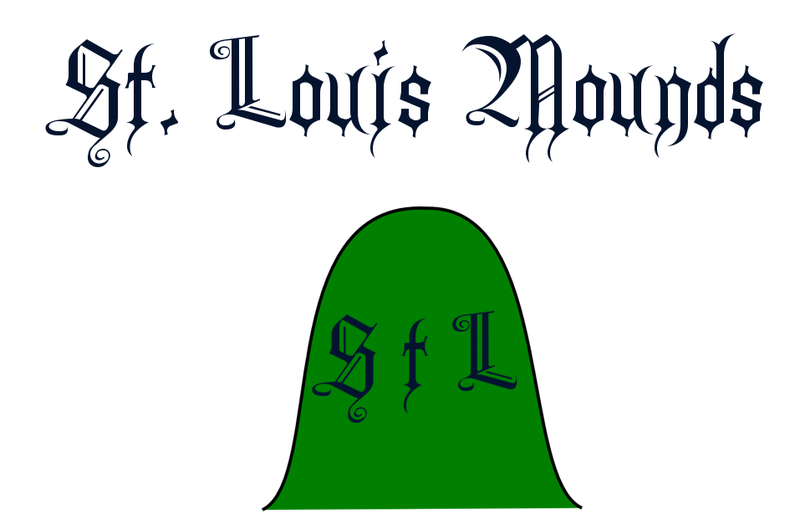 St. Louis emerged victorious in the season's highest scoring game, a 5:4 slugfest over Boston. 356 goals were scored over the course of the season, translating to an average of over three goals per game. There were only 5 scoreless ties during the season, although the Libbies were involved in 3 of them. As voted by the newspaper writers, the Bridegrooms placed 6 players on the Top 11 squad, the Shipwrights had 2, while the Fomorians and Chimney Swifts each had one. 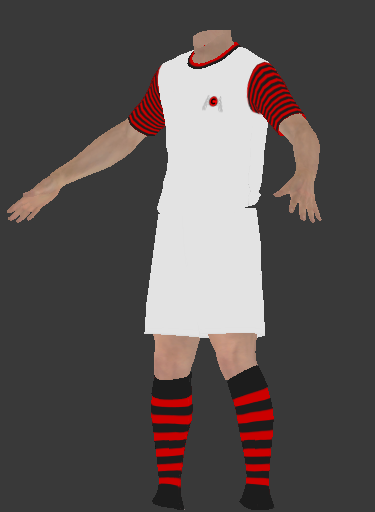 The Bridegrooms' Brad Forton claimed the Golden Shoe with 14 goals for the season, outpacing his nearest competitors by 4 tallies. 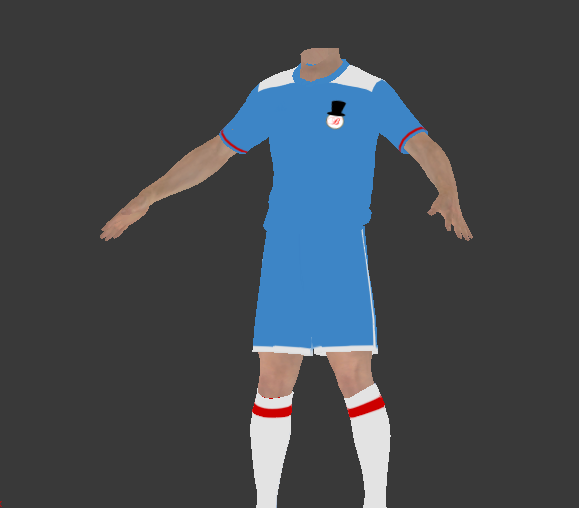 Mickey Mackay of the Fomorians was Goalkeeper of the year with a goals against average of 1.20. He also recorded 5 shutouts. 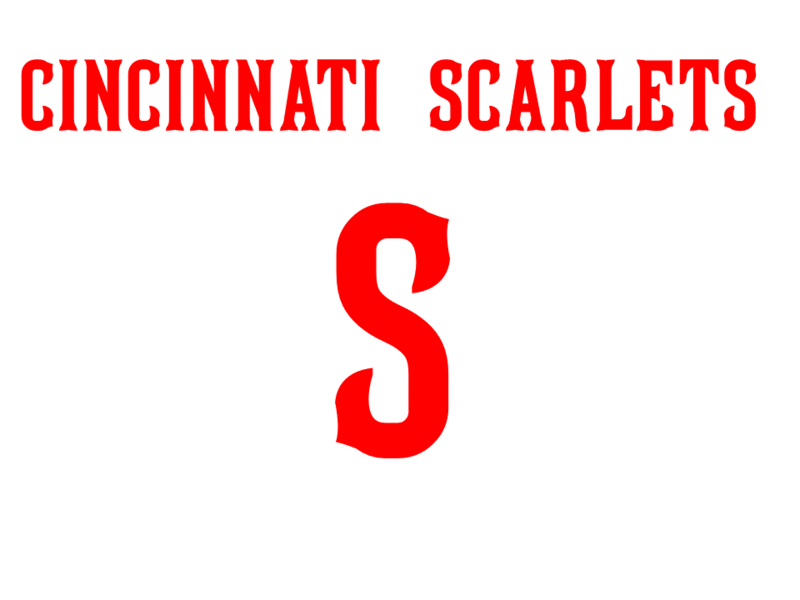 In the months leading up to the 1896-1897 campaign, League President Arthur Irwin was finally able to convince the remaining National League Baseball Club, the Cleveland Spiders, to field a team in the AAAFL. The financial success of the previous year alleviated the Cleveland owners' concerns over the travel expenses. 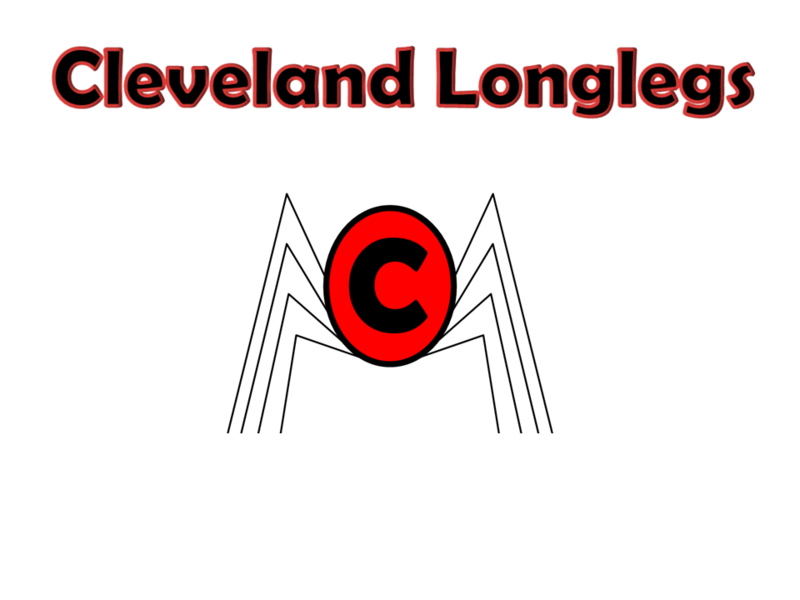 Thus, the Cleveland Longlegs became the 12th team of the All American Association Football League. Brooklyn stood atop the table at the winter break, holding the top spot only by virtue of goal difference over Philadelphia. They continued their goal scoring pace, netting a league-leading 63 goals by the end of the season. 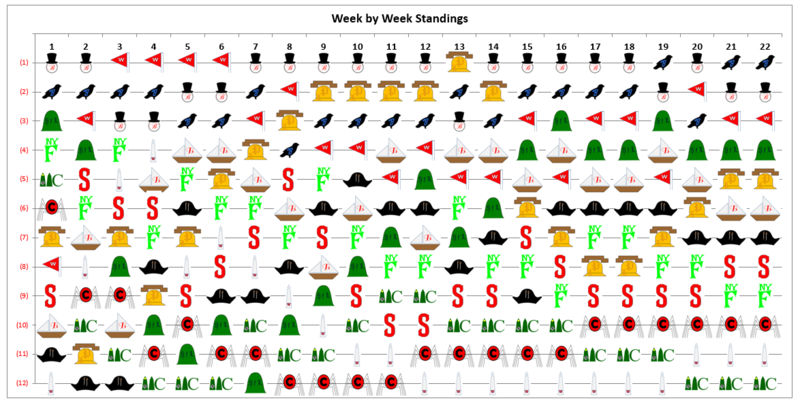 Baltimore drew even with Brooklyn on points in Week 18 and claimed the lead in Week 19. After a loss in Chicago, they dropped to third. They jumped back to first by downing Brooklyn 3-2 at Union Park. 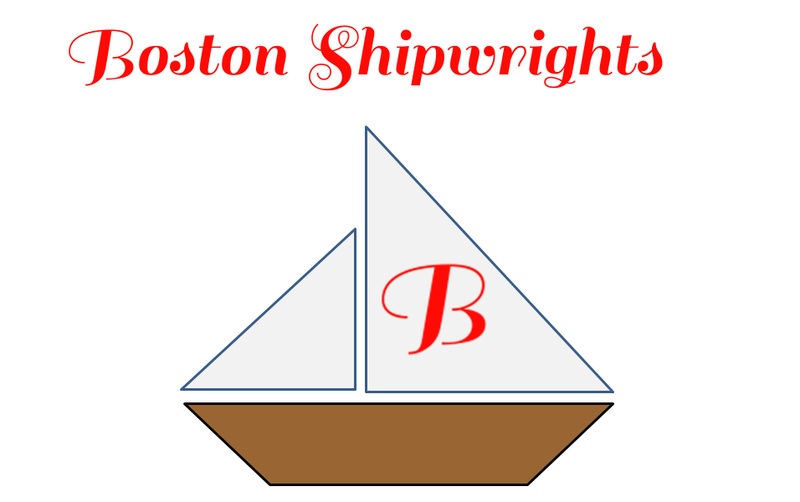 The Chimney Swifts dominated the Shipwrights in Boston to hold on to the title. 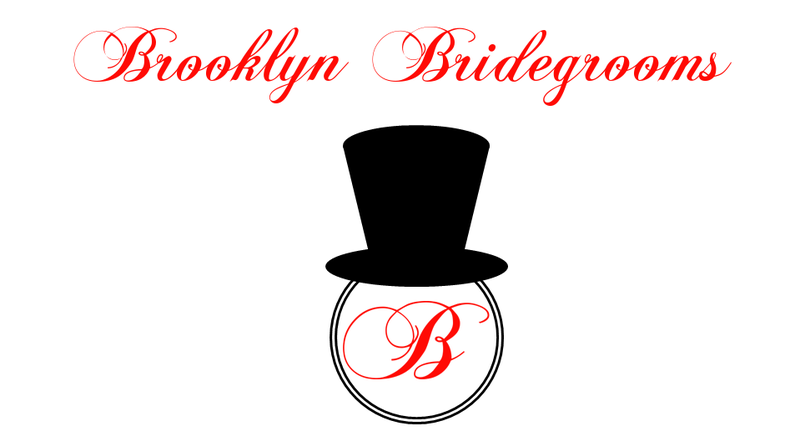 Brooklyn triumphed over St. Louis in a 5-4 slugfest, but it wasn't enough for the Bridegrooms. They came up 1 point short. Baltimore had the best home record over the course of the season. They were not a team of stars. 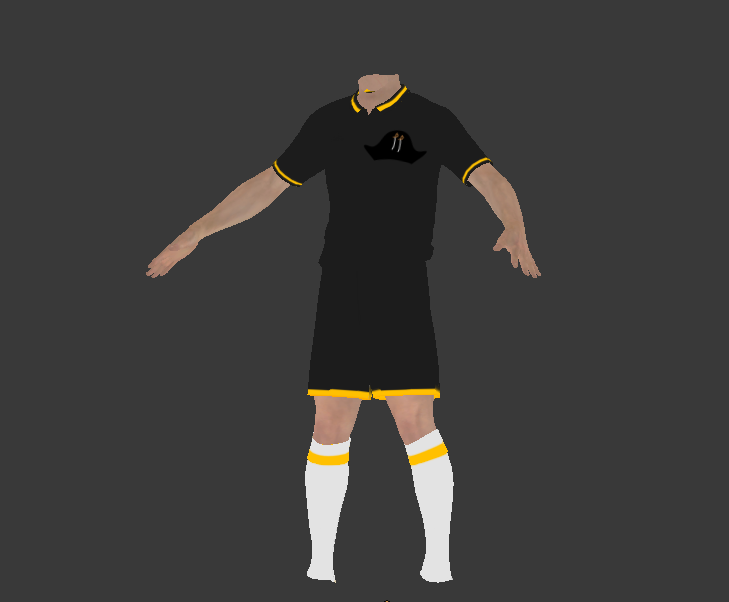 The Chimney Swifts only placed one member on the Top 11 team - goalkeeper (as well as coach) A.W. Stewart. Bridegroom forward Phillip Harrington claimed a spot of the Top 11 as well as the Golden Ball for best player in the league. A number of clubs established rivalry trophies to be awarded to the winner of the season series. Pittsburgh claimed the inaugural Quaker Cup by virtue of away goals in their matches against Philadelphia. New York walked away with the Big Apple Trophy, after losing at home to Brooklyn 0:1, but then defeating the Bridegrooms at the Polo Grounds 3:1. Cincinnati and Cleveland made plans for a Carnation Cup in the upcoming season. The weekend after the conclusion of the season, President Irvin traveled to Baltimore to congratulate the Chimney Swifts for their championship. At a formal dinner, he presented them with the All American Cup, donated by member of the various cricket clubs of Philadelphia. In his remarks, Irvin also promised that the Chimney Swifts would not be repeat champions. 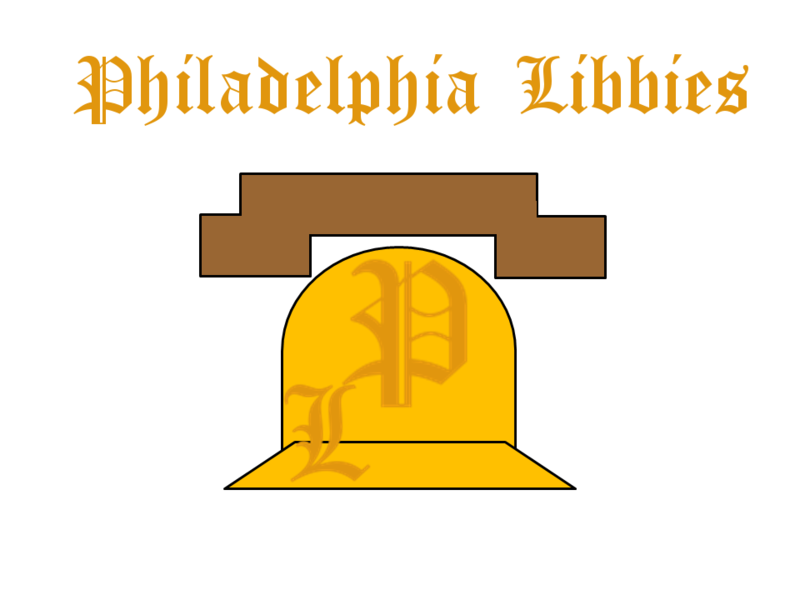 He noted that his Philadelphia Libbies climbed its way up from 11th place in Week 2 to the top spot in Week 13. After that, the Libbies were hampered injuries and dropped out of contention. He promised that his club would be retooled for the upcoming season. Despite entreaties by the local press covering the event, Irving would not reveal any more details. The concepts are very rough and not as clean as they should but holy, those nicknames. I love every single one of those team names. All of the names are very unique and hope that more thought can be put into team names. Fine is what the Libbies did. They claimed the top spot in Week 16 and held it through the end of the season. In the spring season, the Libbies only lost one game, a 4:1 decision to Boston. They claimed the title, outdistancing the second place Bridegrooms by 3 points. They played as a team, only placing Forward Sam Thompson on the Top 11 squad. Alphonse Cauliffe was the only player who made the Top 11 for the second consecutive year, although as a defender this time. Randolph Shafer of the West Side Kickers had the most goals and points on the season. Baltimore’s Fred Davies took home the Golden Ball, while Vincenzo Sills of the Privateers was the top goalkeeper. The inaugural season for the Cleveland Longlegs was somewhat of a disappointment. The Longlegs only won once in the fall session, but they did manage to avoid the cellar for the entire year.. Still, the Cleveland ownership was happy with the results, when it came to attendance in particular. Revenue per match exceeded that of their Spiders baseball counterparts. Prior to the beginning of the AAAFL 1898-1899 season, League President Arthur Irvin entered into a series of discussions with Sidney Henderson, President of the American Football Association. 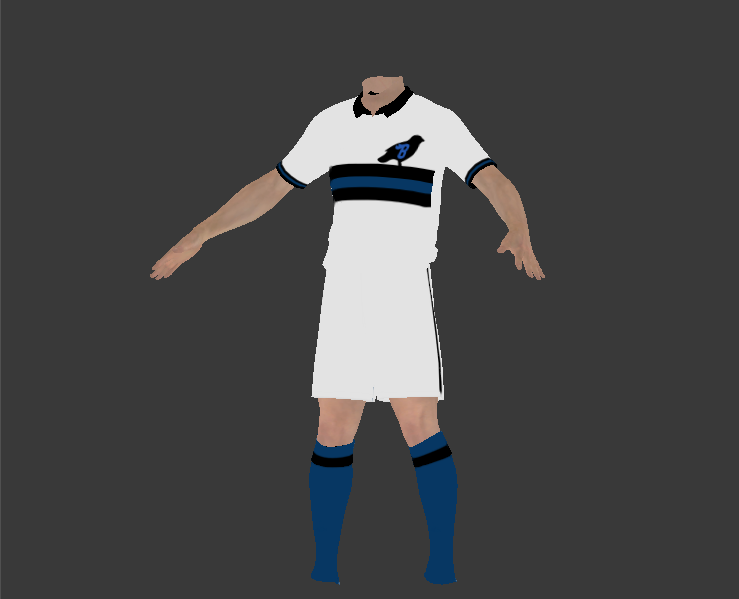 While the AFA had been existence since 1884, its influence was primarily limited to the operation of association football in the Northeast. 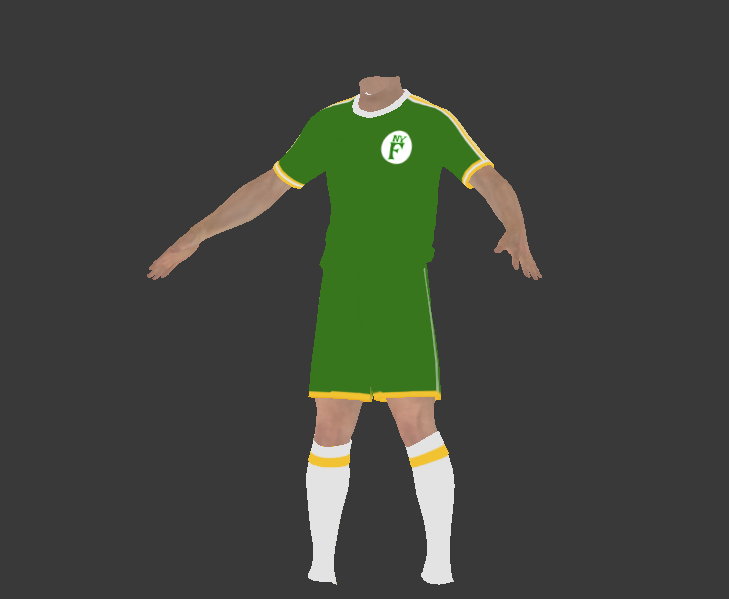 The National Association Foot Ball League had operated under the AFA’s auspices since 1895, albeit with teams from only New York and New Jersey. The success of the AAAFL on its more nationwide basis was quite encouraging to the AFA. After a few days of discussions, Campbell and Irvin negotiated a partnership between the two entities. The AAAFL would formally join the AFA and support its efforts to become the governing body for association football across the United States. The AAAFL would also have all of its teams compete in the American Cup, the tournament that the AFA had hosted since 1884. The 12 AAAFL clubs would be joined by 12 clubs from the National Association Foot Ball League (NAFBL) [http://homepages.sover.net/~spectrum/nafbl.html] in the single match knockout tournament. 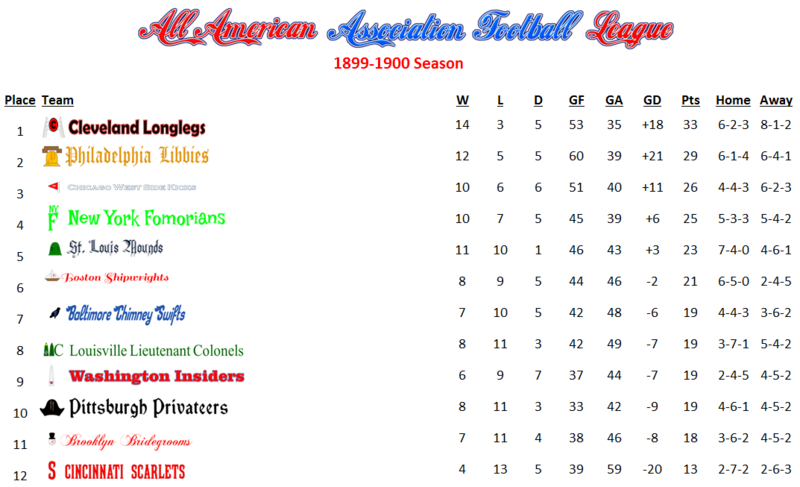 The top 8 AAAFL teams from the 1897-1898 season would be granted first round byes. Furthermore, the AAAFL would coordinate with the AFA on all expansion plans for professional association football. On the last point, the two entities could not completely agree on at this time was how that future expansion of professional football would come about. Irvin argued that it should be under the control of the AAAFL, while Campbell felt it should be at the discretion of the AFA as to whether expansion might be other independent leagues or other divisions within the AAAFL structure. Both did agree that the nation would soon be ready for even more professional teams. The Libbies began the season with high hopes of repeating as champion. 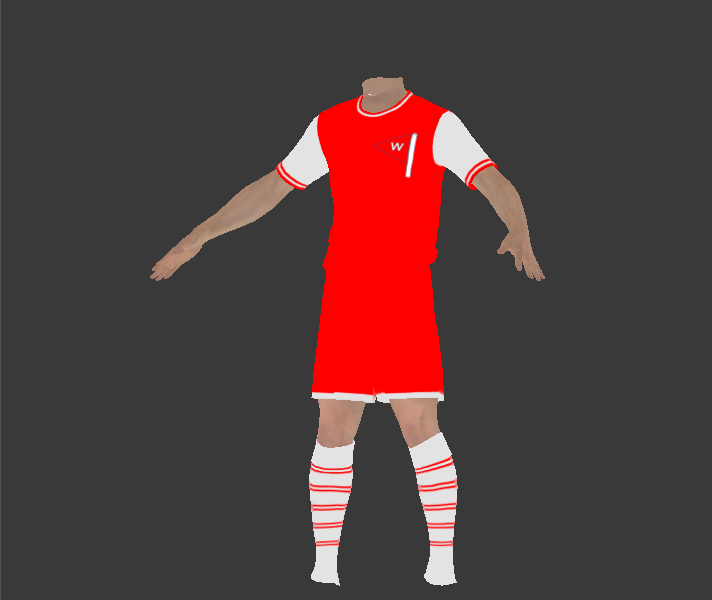 However, they languished near the bottom for the entire 2st half of the season, resting in 10th place. In the second half of the season, they went 7-2-2 to climb all the way to 2nd place. They were not able to catch New York who claimed the title. 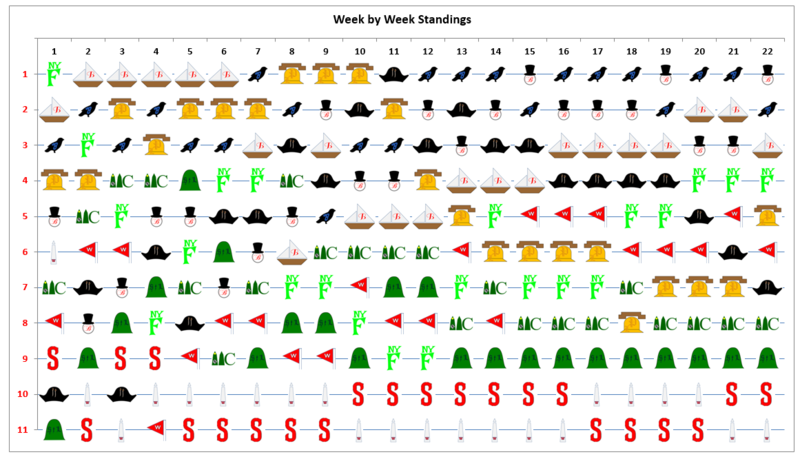 The Fomorians had acquired the top spot in Week 2 and never relinquished it. IT was a massive improvement from the previous year, when the New Yorkers had finished 8th. After a third place finish last year, Chicago dropped 6 places to 9th. 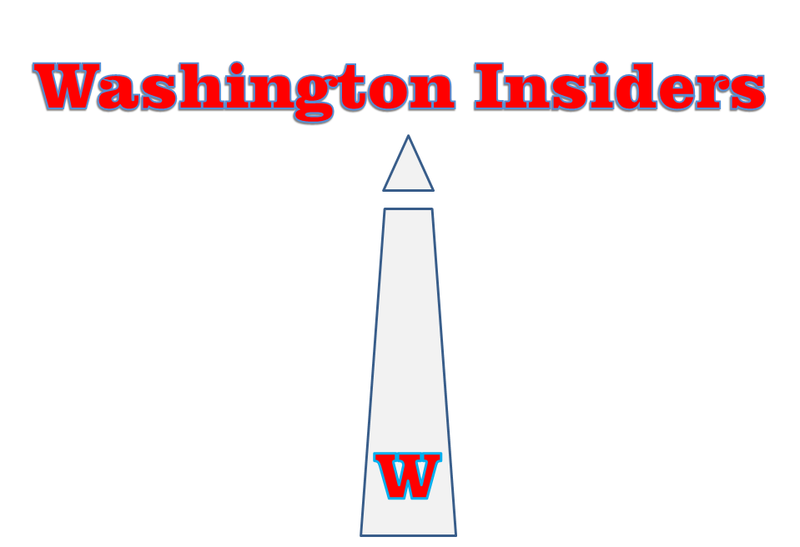 Once again, the Washington Insiders were the doormat of the league, 12 points off of the lead. The Bridegrooms and the Libbies once again dominated the Top 11, placing three players on the squad. The Shipwrights’ Alphonse Macaullife made the squad for the third consecutive year. 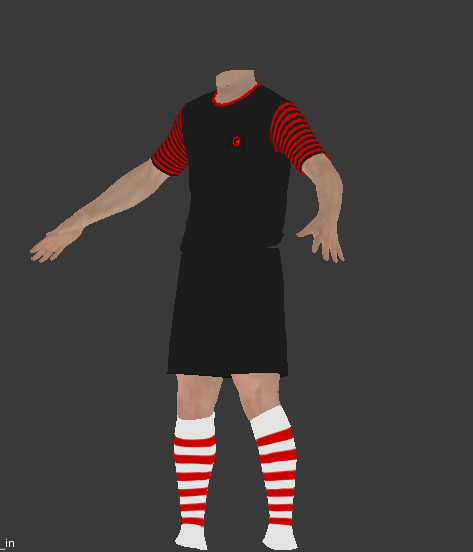 The 11 goals by James Fritz of the Fomorians led the league. The Golden Boot went to David Bannister of the Bridegrooms. Cleveland, Washington, Pittsburgh, and Louisville were forced to play in the first round against NAFBL teams. All four AAAFL teams advanced to the second round. In the second round, Paterson True Blues upset Cincinnati, and Kearny Arlington upset the Brooklyn Bridegrooms. The Libbies were in fine form when the paired up with the AAAFL champion Fomorians in the quarterfinals. New York was no match for Philadelphia that day. Sam Thompson had a hat trick for the Libbies. The 4-2 score was deceptive in that New York didn’t even make their first tally until 5 minutes before the end. In the semifinals, the Libbies pounded the Mounds 4-1 and advanced to the finals. On the other side of the bracket, Chicago took advantage of their seeding and got by the Kearny Scots and then the Louisville Lt. Colonels. 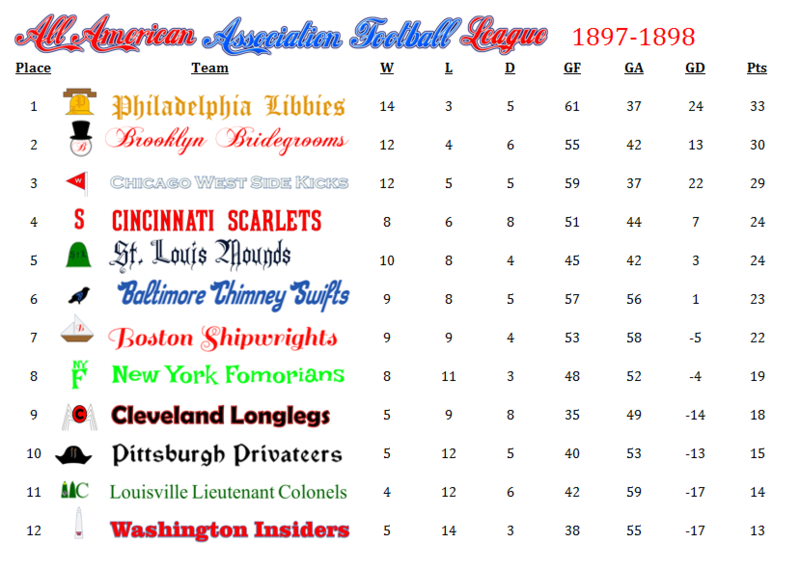 Boston had been trending downwards during the AAAFL season, the Shipwrights were able to get past Pittsburgh and Kearny Arlington. They returned to their haphazard style in the semifinals and fell to the West Side Kicks. In the championship game, the Libbies put on a masterful show. The 3-0 scored didn’t begin to describe their dominance. 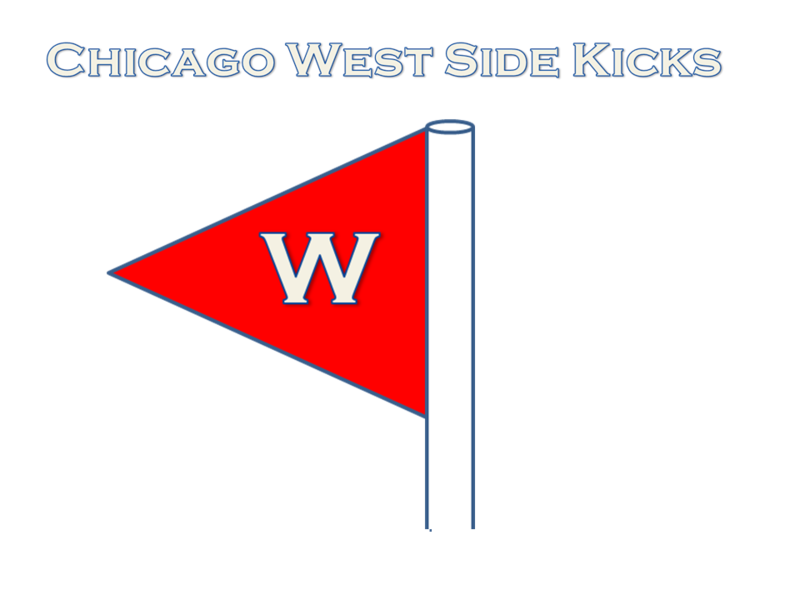 Not only did they hold Chicago scoreless, but the West Side Kicks only managed one shot the entire match. Once they notched the third goal, Philadelphia unveiled a performance of ball control. There were periods of minutes in which Chicago never even touched the ball. When the final whistle blew, the Libbies were deserving champions. Mack was definitely happen with claiming the American Cup. After the disappointing season in the AAAFL in which they had hoped to repeat, the triumph in the tournament brought some joy back to the City of Brotherly love. 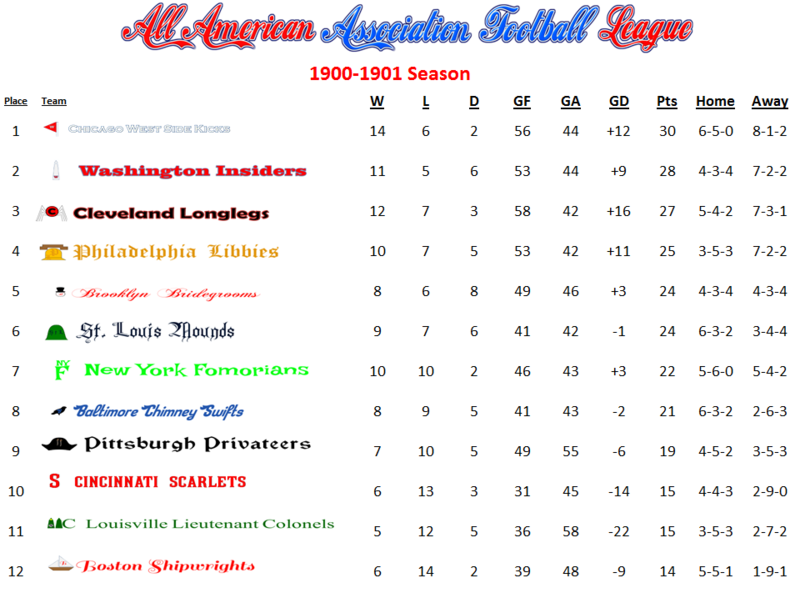 The 1899-1900 season, the fifth for the AAAFL, featured a number of surprising developments coming out of Cleveland. 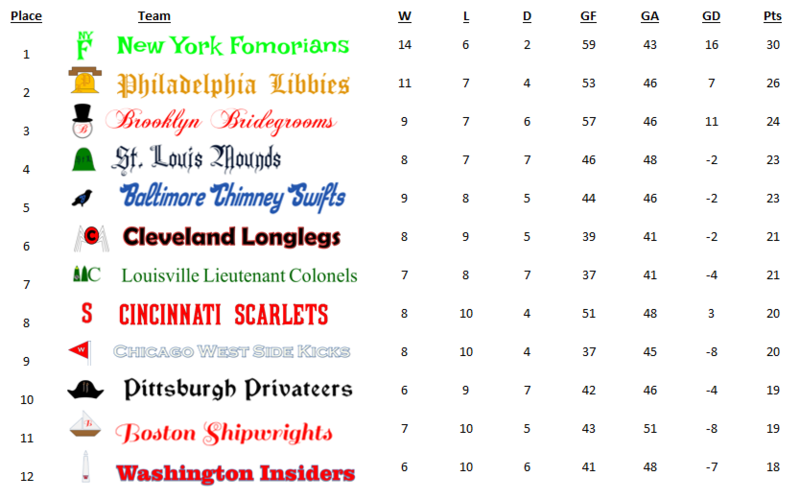 The Longlegs put on an amazing season, claiming the top spot in the table in Week 10 and holding it all of the way to the conclusion of the schedule. Led by Top 11 star Paul Reisman and top goal scorer Jeff Ryerson, the Longlegs only lost one game on the road all season, a 4-1 defeat in St. Louis. The Mounds had begun the season in poor form, sitting in second last at the end of the fall session. They exploded in the spring season, winning their first four matches, and then putting together a second four-win streak. Two losses at the end of the season kept the Mounds from ascending to the second spot. AFA President Campbell and AAAFL President Irvin continued to lay the groundwork for the expansion of professional football. 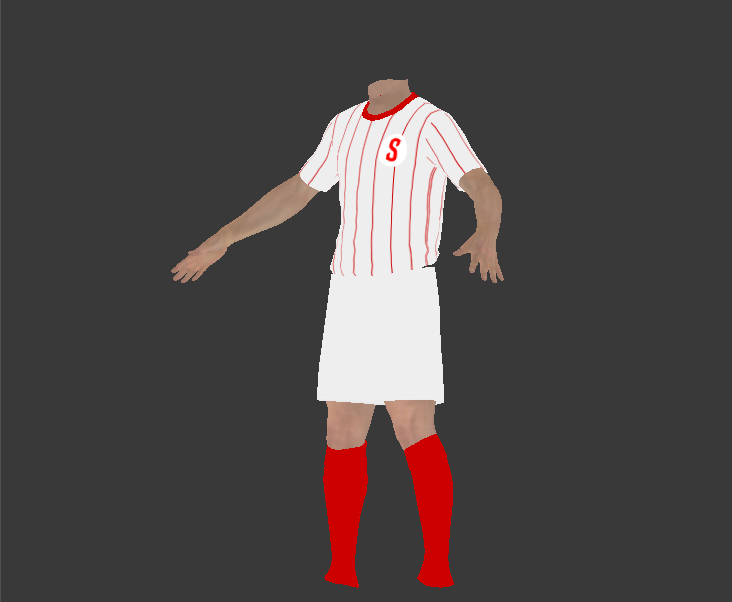 Letters had been received from some of the minor baseball leagues, including the Western League and the Southern Association, of the interest of their clubs in fielding association football teams. The AAAFL saw its first firing of a manager. 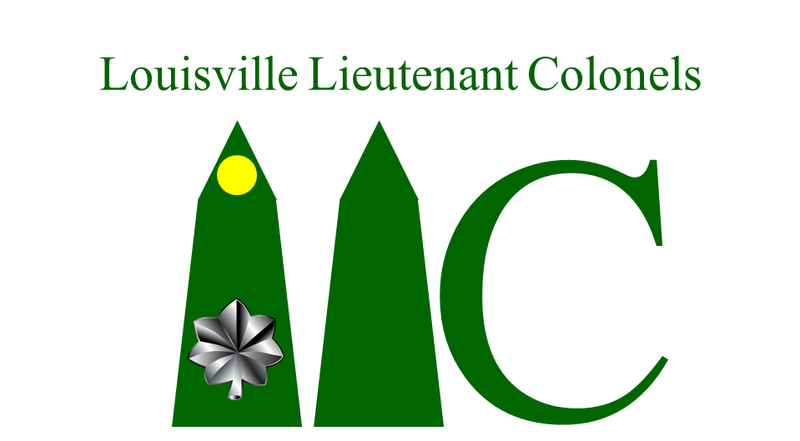 The Louisville Lt. Colonels discharged Gene Skeete after a 20-24-26 record. Assistant coach Solomon Buchman was promoted to lead the team. The new management only achieved an 8-11-3, so Buchman’s days might be numbered. In the American Cup, the AAAFL once again competed against the top amateur teams in the Mid-Atlantic area. The Longlegs almost completed a double, falling to the Chicago West Side Kicks in the final 2-1. Once again the AAAFL teams were not invincible against their amateur opponents. New York Thistle downed the Washington Insiders 2-1 in the first round. In the second round, Pawtucket Olympians defeated Brooklyn and Kearny Arlington shut out Philadelphia 2-0. It was a bitter defeat for Libbies manager Connie Mack, who had hoped to repeat as American Cup champion. 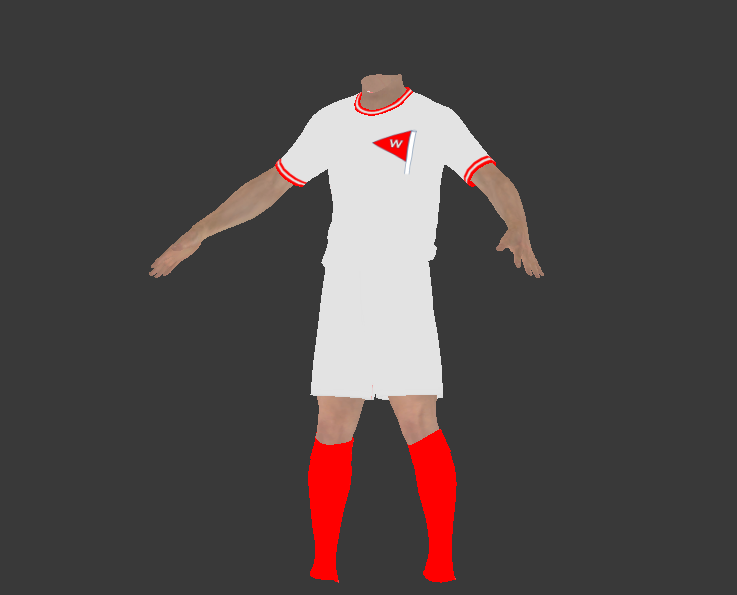 The Libbies had finished second in the league, four points behind Cleveland, and coming one goal short of their historical best of 61 goals from 1897. “We scored a lot of goals, just not when we really needed to,” Mack lamented. In the derby matches, Cincinnati took possession of the Carnation Cup, claiming it based upon away goals over Cleveland. 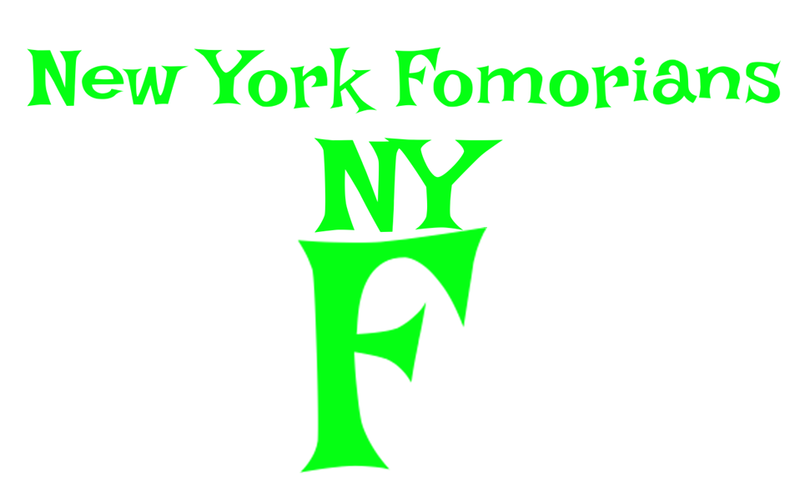 The Fomorians held onto the Big Apple Trophy for the second consecutive year, beating the Bridegrooms twice. Philadelphia snatched the Quaker Cup back from Pittsburgh, thrashing the Privateers on aggregate 7-2, to even the series at 2-2. 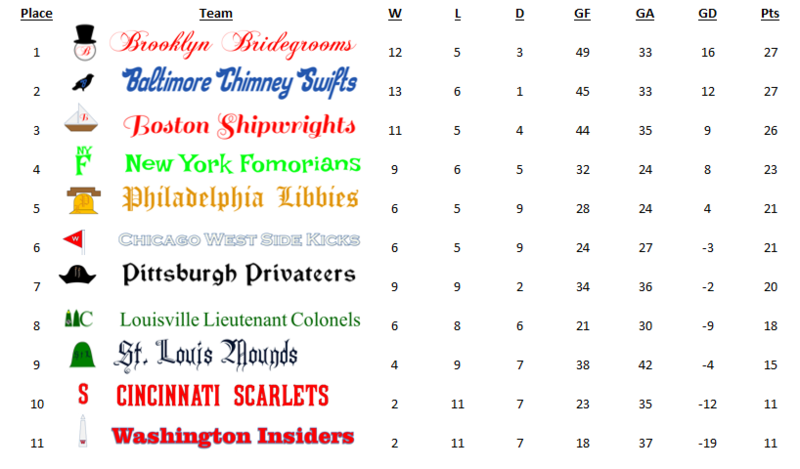 After five seasons of AAAFL play, the Brooklyn Bridegrooms had the best overall record. However, they only had the 1895 championship to show for it. The Libbies trailed by only 4 points, also with only one league title to their credit. 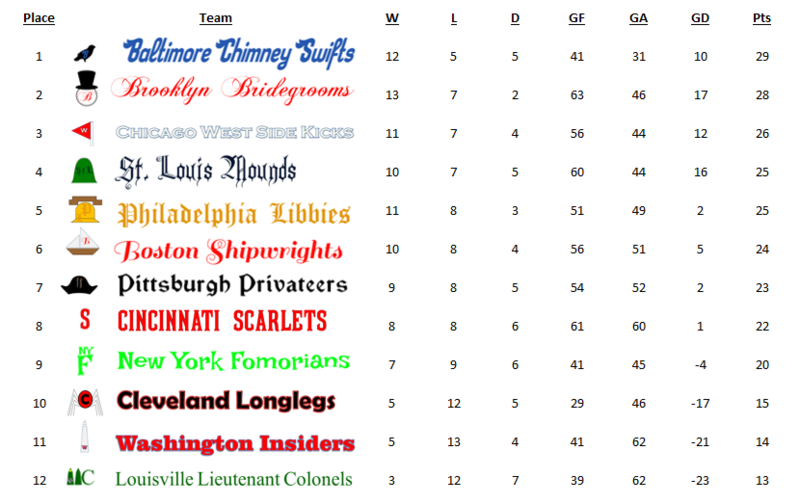 Chicago ended up the fall season tied with the Insiders on points, vaulting to the top by one goal in the goal difference column with a 4-1 drubbing over the Pittsburgh Privateers. Washington and Cleveland kept the heat on the West Side Kicks for the rest of the season, hovering only a point or two behind. 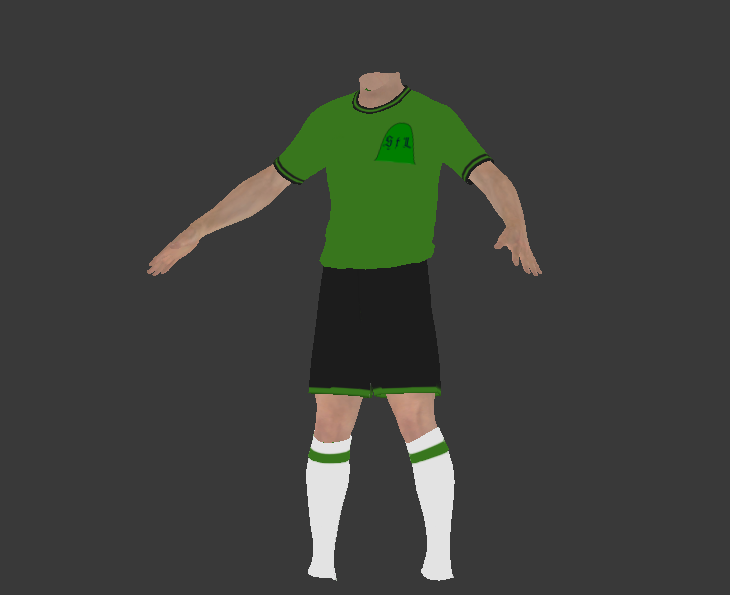 Finally, in Week 21, Chicago took a 3 point lead after eking out a 2-1 victory a win over the Mounds in St. Louis . Cleveland still had a slight hope, having a better goal difference +20 vs. +14, but they would need to win and hope that Chicago would fall at home to Pittsburgh. Chicago had been markedly better (8-1-2 on the road, 6-4-0 at home) Washington’s hope was slimmer – they needed a win and to make up a the difference between +9 and +14. Chicago played cautiously, looking for a point to clinch the championship. The Privateers tried to play the role of spoiler, attacking incessantly. Pittsburgh took a 1-0 into halftime. More aggressive play on the part of the West Side Kicks led to two more goals from counterattacks, leaving Chicago down 3-0, much to the dismay of the expectant Kickbacks. Five minutes from time, the West Side Kicks pulled one back, but that was all. The 3-1 defeat left the dejected West Side Kicks rushing to the telegraph station to get the report on the Longlegs/Fomorians game in Cleveland. They were relieved to hear that the Longlegs had stumbled even worse than they did, dropping a 4-0 decision to New York. Washington managed a tie at home with Louisville to pick up one point, but that left Chicago two points clear. Charlie Reilly of Philadelphia was the sensation of the season. 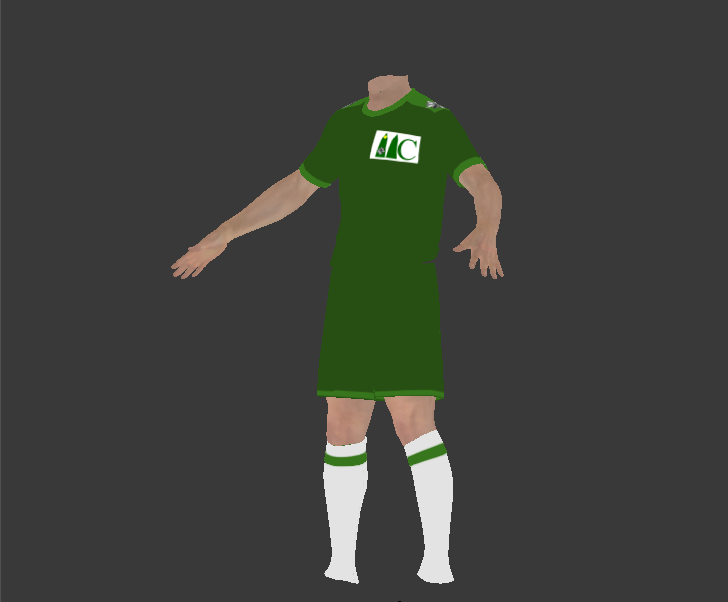 In addition to receiving the Golden Ball, he led the league in goals and points, and came in a close second in assists to Dennis Rizoli of the West Side Kicks. Chicago placed four players on the Top 11 squad – Rizoli, Anton McDaniel, Maurice Brown, and Jason Edwards. It was the second honor for Rizoli as well as Alfred Jernigan of Louisville. The balance of the Top 11 were all first timers. In the American Cup, the Cincinnati Scarlets downed the Chicago West Side Kickers in the final 2-0, denying the Windy City team the double. Pawtucket Olympics were the Cinderella team of the tournament, defeating both the Philadelphia Libbies and the New York Fomorians, before falling to Cincinnati in the final. 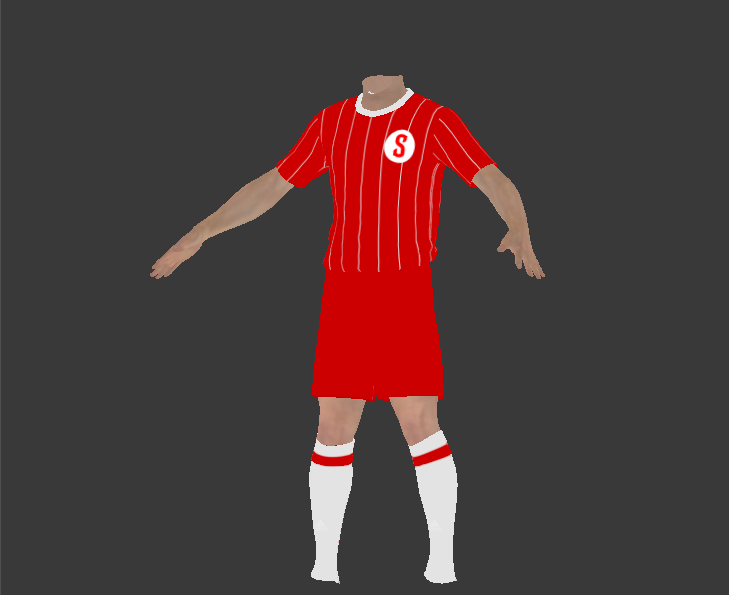 New York Thistle was the only other amateur squad to score an upset by defeating the Brooklyn Bridegrooms. American Football Association President announced that a new league would begin playing in the fall of 1901. The new league, the National Association Football League, was being backed by baseball’s American League, which recently achieved major league status. 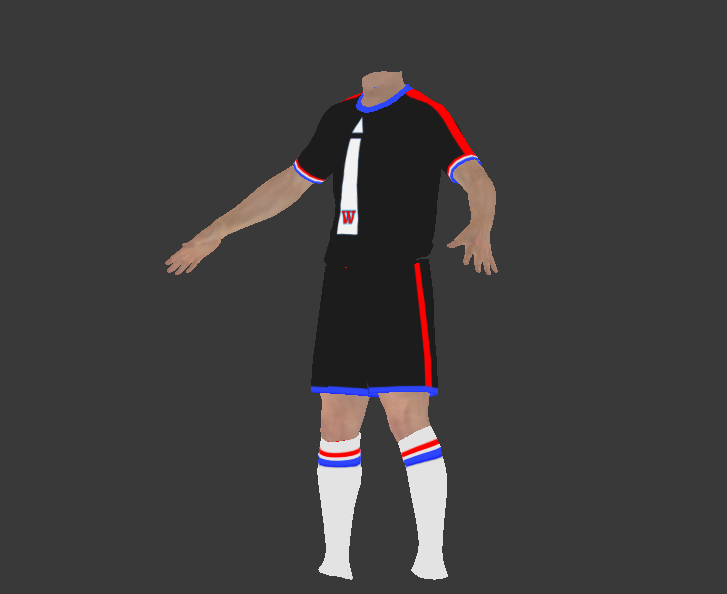 Exactly which baseball clubs would be fielding association football teams was not revealed. 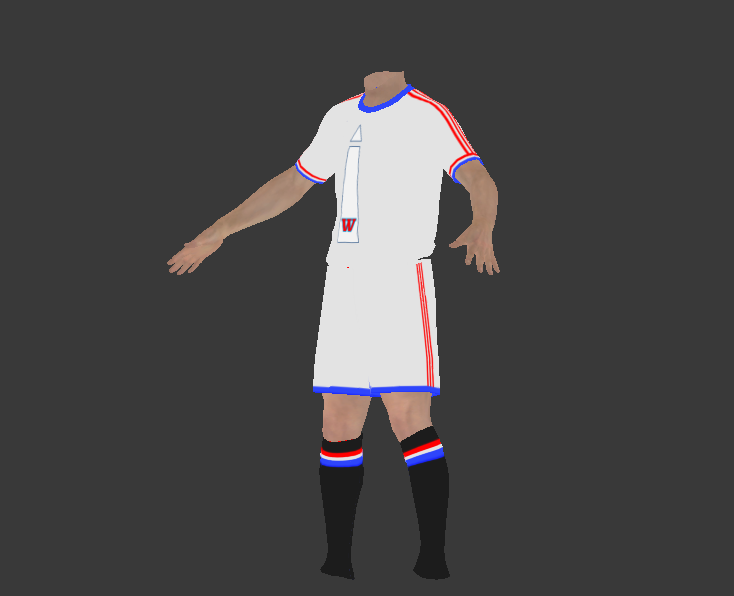 However, the announcement did contain the names of two of the league executives, Commissioner James “Ikey” Karel, and Secretary/Treasurer T.S. Andrews, who both hail from Milwaukee. No background on Vice-President Gus F. Diehl was available.